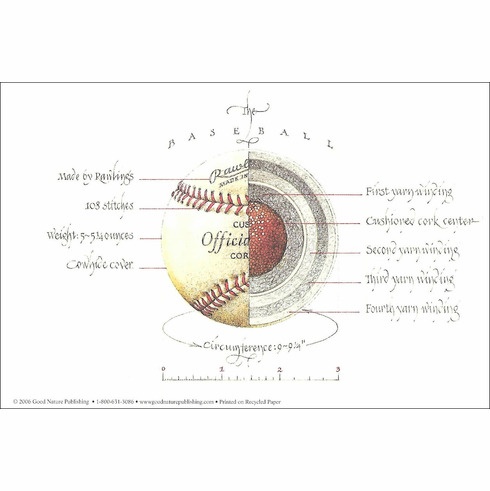 This detailed depiction of a baseball is perfect for baseball art lovers. Printed on lightweight recycled paper. Unframed. This 18" x 24" print comes rolled in a tube.